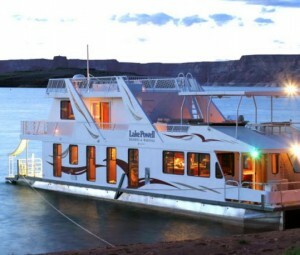 Lake Mead Boat Rentals offers the ultimate houseboating vacation package which can include; surf boat rentals, jet ski rentals, and guide water sports lessons and tours of Lake Mead. If you like a long hot boating season, Lake Mead is the place to come. Lake Mead is known for its size where fishers, boaters, water skiers, wake boarders, swimmers, hikers and sightseers can come to enjoy this fresh water lake. Lake Mead National Recreation Area offers house boat rentals, and camping areas for any size group. Lake Mead is only 40 min. away from Las Vegas which makes it very accommodating when on vacation. We can set you up in a houseboat rental and all the watercraft toys including wakeboards, wake skate, wake surf, tubes, skis, new MasterCraft or Centurion boat charter or rental, and all the staff to make your Lake Mead trip one you’ll never forget. Tour the beautiful Hoover Dam with friends, corporate business group, or family while visiting Las Vegas. Don’t forget the jet ski rentals, waverunner rentals, sea doo rentals, and (PWC) personal watercraft rentals or guided tours of Lake Mead. Lake Mead Boat Rentals has professional water sports instruction for those groups who need help on wakeboarding lessons, water ski lessons, wake surfing lessons, kneeboarding instruction, slalom skiing lessons, and air chair lessons. Marinas include Callville Bay Marina, Las Vegas Marina, Echo Bay Marina, Willow Beach, Temple Bar, and Lake Mead Marina. Lake Mead Jet Ski Rental is not an on-site facility, we do not conduct business in the Park.